Today is my stop on the blog tour for The Foyles Bookshop Girls at War. The book was published on January 15th in the UK and you can click here to order your copy. 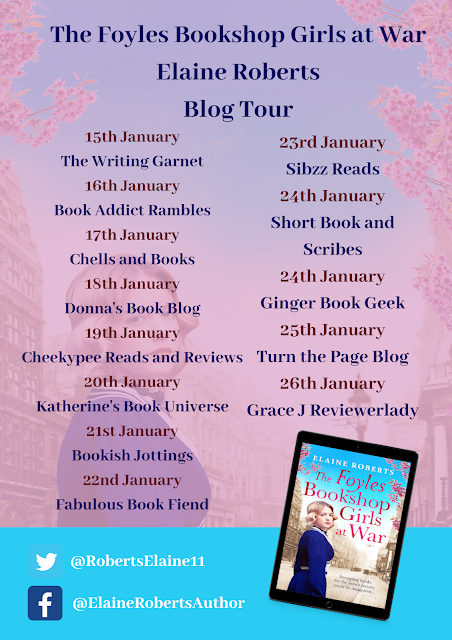 I have an extract to share with you today but don't forget to check out the other stops on the tour for more exclusive content and reviews! Molly studied the note in her hand. Her heart was pounding. She licked her dry lips. Frowning, she realised her father would be the one reading it. Her mother would have trouble understanding the handwriting. The conversation with Mr Leadbetter jumped to the forefront of her mind. 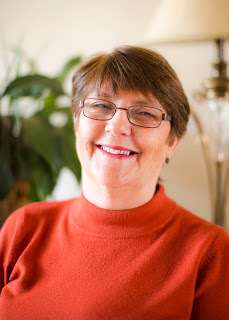 Her conscience screamed that she should have been honest with him and her family. They deserved that. She wished she could say the same, but she wasn’t worthy of having an easy life. Molly took a deep breath, hoping they’d forgive her when she plucked up the courage to tell the truth. There was no escape, she felt compelled to do this, and there was no going back. A shiver ran down her spine. 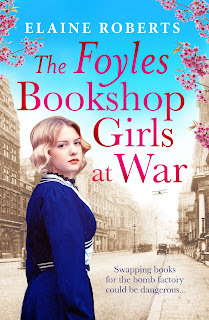 The rattle of the wheels and the clip-clopping of the horse’s hooves still rang in her head over the hushed silence of the funeral procession outside Foyles Bookshop, the constant reminder of the danger, and why she had to protect her parents and keep her secret. Molly shook her head. She would have to take whatever consequences came her way. She hoped her parents would realise they could all have a better life and her ma could rest up and stop taking in other people’s washing. Her slender fingers straightened the bottom of her cream blouse, with its wide black collar, before lifting the black calf length skirt, to slide her feet into the black shoes. The bare floorboards creaked. Molly held her breath and listened for movement in the modest three bedroomed, terraced house, in London’s Carlisle Street. The day’s greyness emulated her anxiety. Silence reigned. Squeezing her eyes shut, Molly gave a heavy sigh. Her father would have understood why, if only she’d found the courage to explain. He was always there, fighting her corner, wanting the best for her. A solitary tear trickled down her cheek, its saltiness staying on her lips. She gazed out of the sash window, as the first raindrops sliced across the glass. A draught caused the curtain to flutter. The street and its residents hadn’t changed much over the years. The houses all stood tall, their windows and doorsteps scrubbed until they shone. Molly ran her fingers over the damp trail her tear had left behind. A smile played on her lips as she stared at the tops of the trees in Soho Gardens, just visible above the black rooftops. She remembered sobbing as a child, when she’d fallen, trying to climb one of them, with the older boys in the street. Her father had scooped her into his arms and carried her indoors. He’d sat her on his knee, while he wrapped his arms around her, squeezing her tight until the tears had stopped. Her mother had spoken gently to her, while bathing the graze on her arm, and checking her legs for cuts. They had explained then, that little girls didn’t climb trees. They learnt to sew and cook. One day, they had said, she would marry well and hopefully have her own cook and domestic help. Molly shook her head. Was that why she hadn’t introduced them to Tony? They were still waiting for their proud moment. She bit down on her lip. Her chin trembled. They deserved better. She carefully placed the crumpled note she’d penned, against the small mantle clock, which stood on top of her chest of drawers next to the treasured bottle of Narcisse Caron perfume. 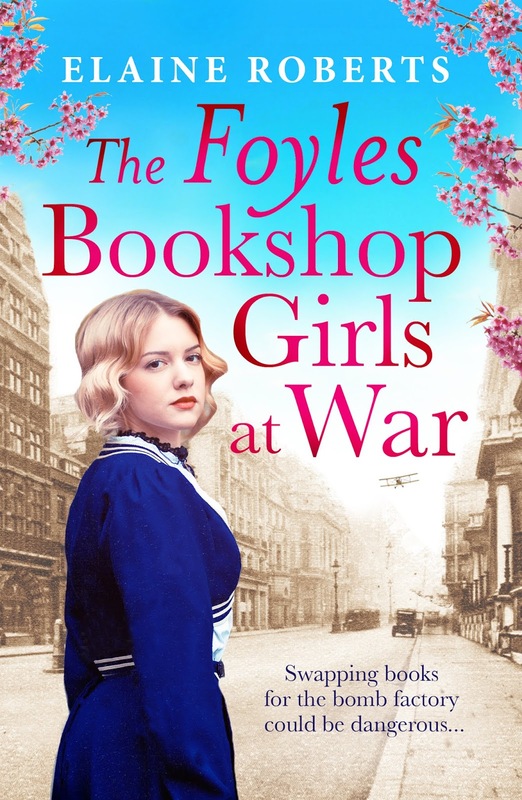 Her friend Alice had given her the scent on her twenty-first birthday, just before the war started. It seemed a long time ago and a lot had happened since then. Molly treasured the expensive gift and only wore it on special occasions, loving its fragrance of rose and jasmine, but today wasn’t one of those days. Molly tiptoed towards her bedroom door. The windows rattled as the wind and rain ganged up, trying to stop her. Pausing, she held her breath with every groan the house made. The clock in the sitting room chimed. Molly waited and was thankful it only rung out once. She glanced over her shoulder towards the chest of drawers. It was time to go. It was five-thirty. Slowly twisting the round wooden door handle, she held her breath with every creak that came with each turn. A frown creased her forehead as a sigh escaped. ‘At this rate, I’m never going to get out of the house,’ Molly muttered to herself, an uncontrollable urge to giggle bubbling in her chest. ‘All the talk of German spies, and being vigilant about what you say and see.’ A giggle escaped. ‘A spy in the making, I’m not.’ She bit down hard on her lip to stop the laughter erupting, wincing at the metallic taste of blood. Pulling the door behind her, leaving it ajar to avoid another creaking session, she listened for the thud of her gran’s footsteps downstairs. Molly stared at the steps in front of her, wishing she’d paid more attention to the noise they made. Shaking her head, she mumbled to herself, ‘Perhaps making a run for it was the best way forward.’ She took a deep breath. ‘Or maybe sticking to the sides would cause less noise.’ Her head jerked up. Did that thud come from her parents’ room? Without hesitation, Molly ran down the stairs, the creaks and groans echoing in her wake. She glanced back up the stairs, as she reached for her coat. It caught the framed photo of her parents on the console table. It wobbled. Molly dropped her coat and just managed to catch the photo, before it crashed onto the red and black tiled floor. She breathed a sigh of relief and glanced up the stairs again, wondering how long she could keep this up. With time running away, she snatched her coat from the floor and opened the front door. Her lips tightened as the hinges squeaked their objection at being disturbed. It was with damp palms that she flung her military style coat around her shoulders, while fighting to force her arms into the sleeves.